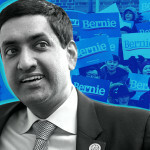 A few weeks before Sen. Bernie Sanders (I-VT) launched his presidential campaign, he and Rep. Ro Khanna (D-CA) went out for what Khanna thought was going to be a late lunch focused on policy strategy. 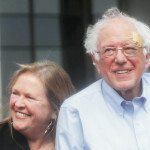 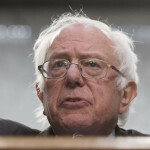 Sen. Bernie Sanders (I-VT) released 10 years of tax returns on Monday, putting to rest criticism that he’d refused to be transparent while showing his best-selling books have made him one of the “millionaires and billionaires” he loves to rail against. 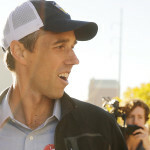 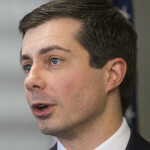 South Bend Mayor Pete Buttigieg’s (D) strong media buzz appears to be translating into growing support in key early-voting states, according to a pair of polls released Thursday. 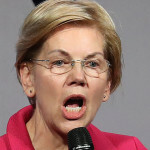 Sen. Elizabeth Warren (D-MA) unveiled a major plank in her platform to tax the rich on Thursday, introducing plans for a new tax on all corporations that clear $100 million in annual profits. 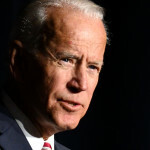 A new poll suggests that few voters may care about Vice President Joe Biden’s overly physical approach to politics. 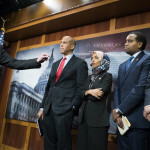 Congress passed a resolution that would end U.S. support of Saudi Arabia’s involvement in Yemen’s bloody civil war, but only after House Democrats managed to defeat a GOP poison pill amendment condemning boycotts of Israel.